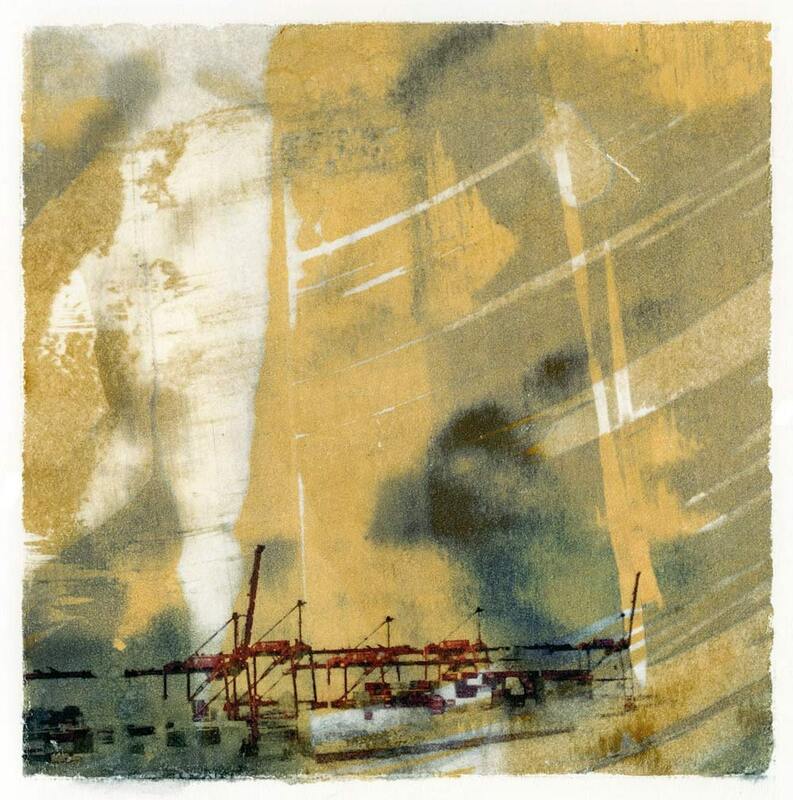 This is a transfer print, a unique monoprint created from my own photography and digital collage, hand-burnished and transferred through a gel alcohol process to a sheet of rag watercolor paper. The irregular edges are a part of the process and echo the shape of a lithographic stone. The surface of a transfer print is granular and unpredictable. Each print is unique, with different surface qualities (see detail in third imageabove.) "Yellow Sky Harbor" is part of a series based on industry, urban textures, and the beauty that can be found in infrastructure. 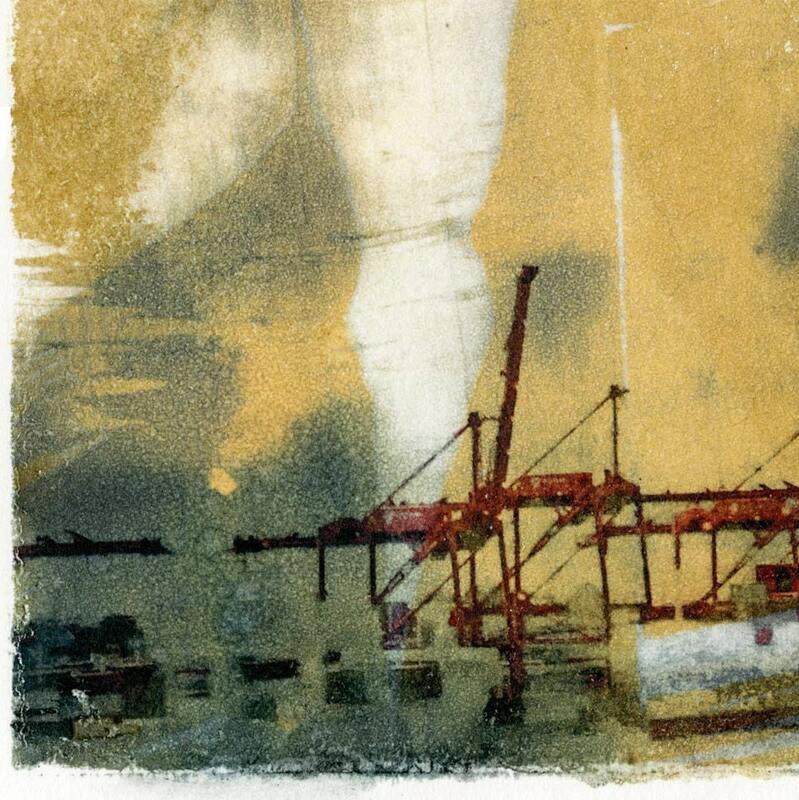 This particular print is an abstracted glimpse of Seattle's industrial harbor from the West Seattle Bridge. 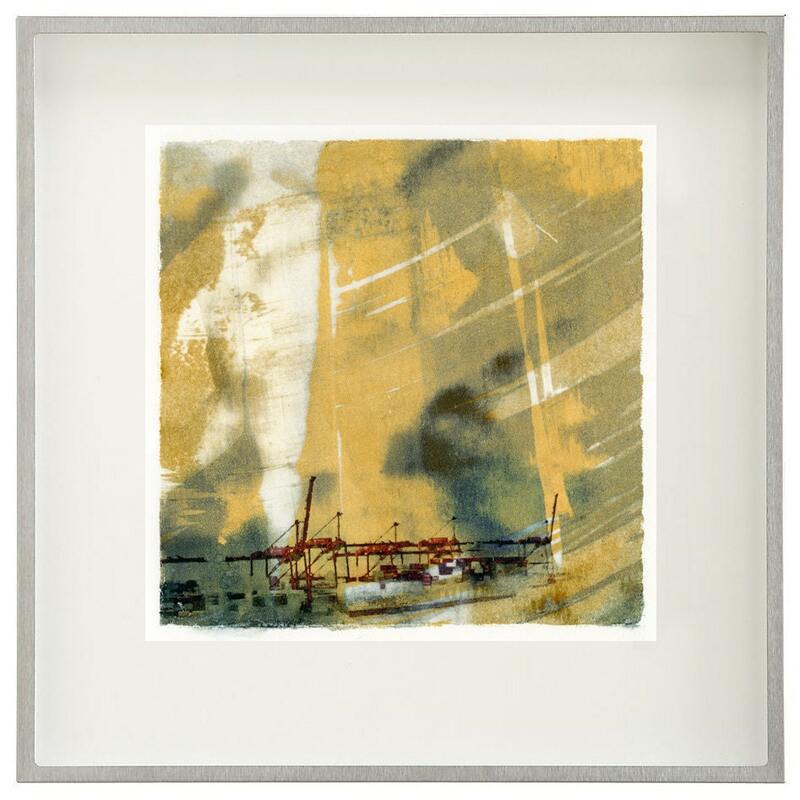 This series of square transfer prints comes with a mat and backing suitable for framing in a 16" x 16" frame or smaller. The edge of this print is intended to be shown when matted. The print is signed on the back in light pencil. These prints look best in a metallic or white frame. The print is available unmatted for $315. Shipped flat with sturdy cardboard backing. The print comes with a certificate of authenticity verifying the edition number and size.